By Train : The nearest Indian Airport to Bhutan is Bagdogra(IXB). Since it is an Army airport, the number of flights in a day are very less and the flights are mostly off schedule. It takes 4 hours to reach Phuentsholing from Bagdogra Airport. Private Taxis and buses are available. By Air : Hasimara is a small town in the Jalpaiguri District of West Bengal. 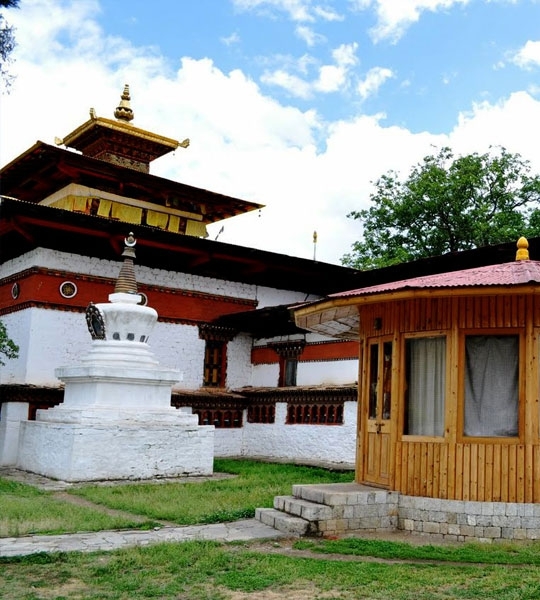 The town is situated at a distance of 17 KM from the Indo-Bhutan Border. In order to reach Hasimara, you will have to board a train from Kolkata. For North Indians, you can take a train from Delhi, Kanpur or Ranchi as mentioned earlier. By Road : Jaigaon is the Indian town touching Indo-Bhutan Border. All the formalities to acquire permission, in order to enter Bhutan, will be carried out here at the immigration office. Every individual will have to acquire permission to enter Bhutan. You can take an Indian car in Bhutan, but you need a separate permit for the car. 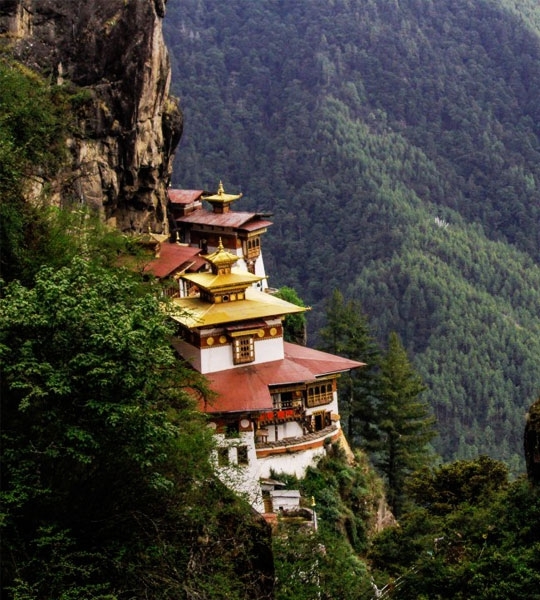 With patchwork fields, willow glades, murmuring trout filled streams and scattered hamlets, Paro is the most attractive of Bhutan’s valleys, the air exudes a sense of profound peace. Below the Dzong, across a covered medieval bridge, is uggen palri a royal palace, where architect’s imagination reached, here to unattainable peaks in the ecstasy of devotion. 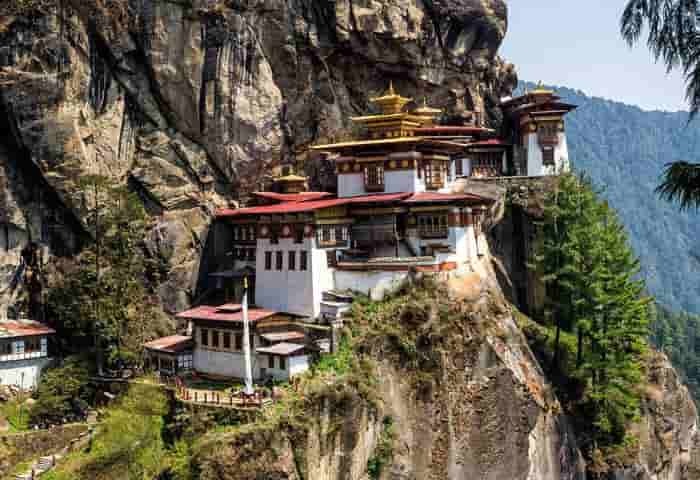 Here is Bhutan’s architecture at its height. 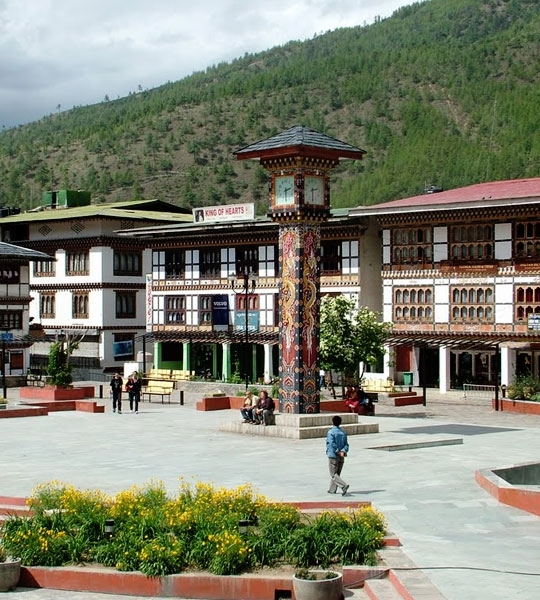 The old capital a three hour drive to the east of thimphu takes one to the old capital of Bhutan i.e punakha. 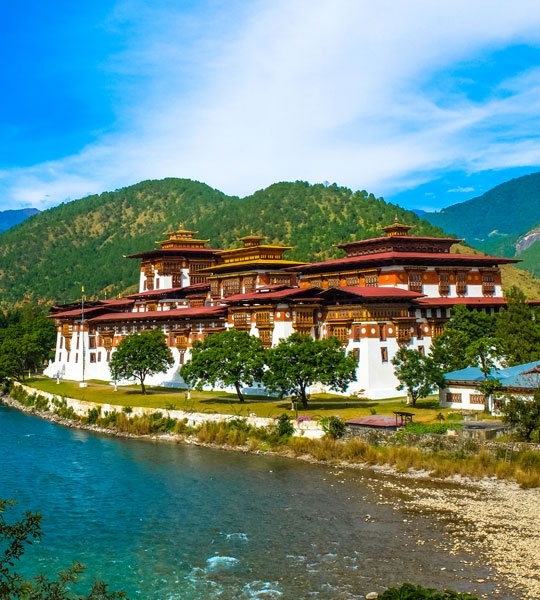 A superb example of Bhutanese architecture, the punakha dzong majestically stand on the bank of the river punakha.